You already know custom lanyards are a perfect way for your employees, students or visitors to carry I.D. badges, key cards and other small items. But what can you do if you’re working with a limited budget? Custom tubular lanyards give you exactly what you need – top quality performance at an economical price. That’s easy. A tubular lanyard is made from tube-stitched polyester, like a shoelace. It’s less expensive than other lanyard types, is comfortable to wear, and presents your custom text or logo in a clear, legible fashion. Like other lanyards, they make it convenient to keep I.D. badges close at hand. Unlike badge clips, they’re hard to lose. Tubular lanyards are sturdy enough for daily use, even in schools. Use your school mascot or company logo to promote camaraderie and classroom or workplace unity. 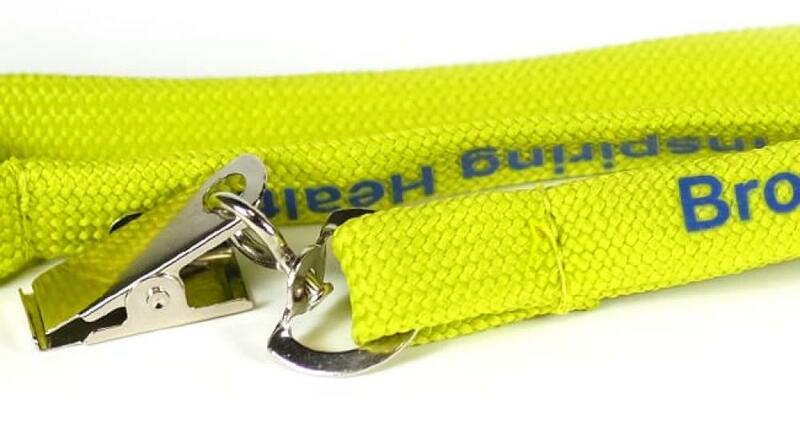 Just as with more expensive lanyard types, custom tubular lanyards are made with top-quality polyester. Your imprint will be bright and legible. A lower price doesn’t mean your lanyard is made to a lower standard. At The-Lanyard-Factory.com, we’ll hand inspect each lanyard before we ship it to you. And of course, everything we sell is covered by our 100% Satisfaction Guarantee. Lanyards are adaptable to virtually any workplace, school or office environment. Safety breakaways – always a free option – make them safe for potentially risky environments. Custom attachments enable them to be used to hold I.D. badges, cell phones, small tools, key cards or other items. Ready to order? Want to know more? Great! Just give us a call, toll free, at 866-289-8828, or email us at [email protected]. We’re dedicated to total customer satisfaction. Let us show you how custom tubular lanyards can make your workplace, school or office safer and more efficient. We look forward to hearing from you!